Many recipes require softened cream cheese because of the cream cheese, when beaten, will likely have lumps if still somewhat cold. 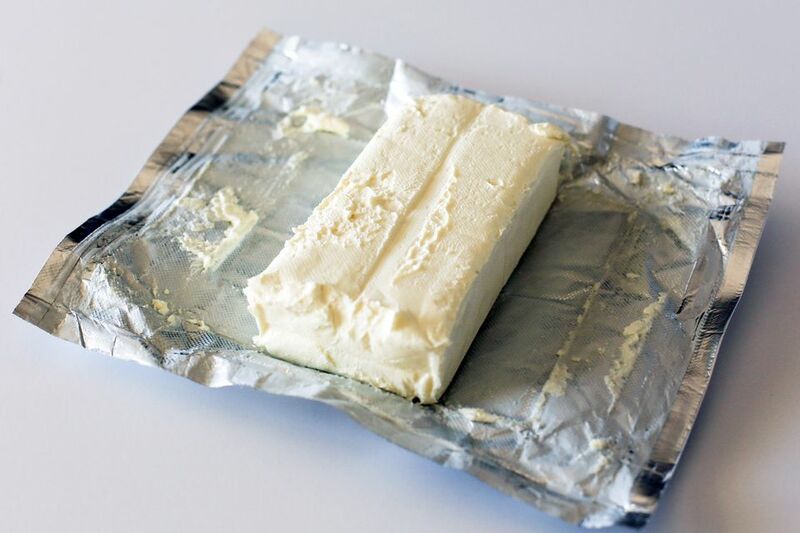 If you didn't take your cream cheese out of the refrigerator ahead of time to soften on the counter, here's how to soften it quickly. Take an 8-ounce package of cream cheese. Take it out of its foil wrapping and set it on a microwave-safe plate or bowl. Microwave on HIGH power for about 15 to 20 seconds. Slice the stick of butter thinly or grate it. It will come to room temperature (65° F to 70° F for baking) quickly in the smaller pieces.